There was a time in my life when trauma stunned me into silence. I unexpectedly learned about harm perpetrated against someone I love. A friend exposed the truth to me with kindness and sensitivity, but I walked away from the conversation shattered. I told no one even though surrounded by people who cared deeply for me. Two days later I met for the first time the person who caused the harm and who remained unaware of my knowledge of the truth. Several days after that I received medical confirmation—because of the incident, my loved one would suffer lifelong disability. It was too much, too fast. Too much intensity in too few days. I shut down. Grief penetrated like an arrow so deeply buried that even the shaft disappeared into the aching flesh of my heart. I stopped verbalizing anything that wasn’t absolutely necessary for some time after. I understand why people sometimes cope with trauma by refusing to speak. Literally shutting down is one form of voicelessness. 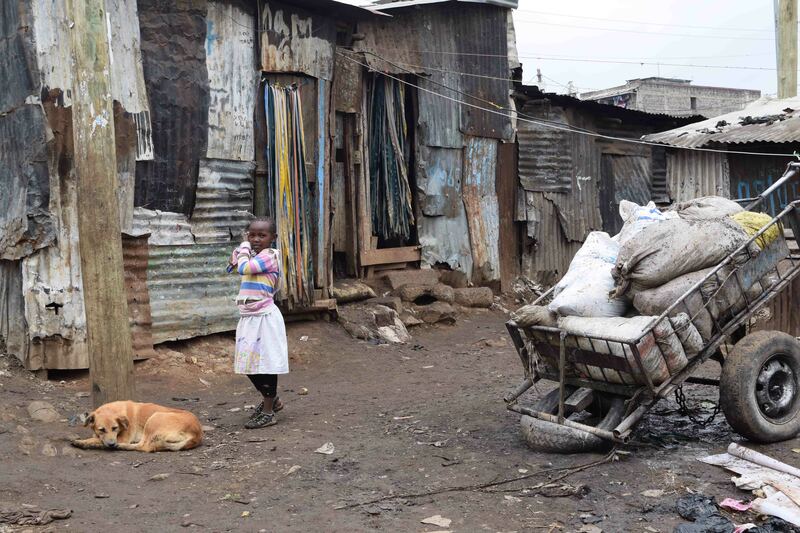 At night, his mother locked four-year-old David in their Mathare Valley slum shack while she wandered off in search of alcohol to numb her own pain. She stumbled home in the morning, drunk and unaware as her starving child escaped and rummaged through neighbors’ trash in search of something, anything, to eat. In a place of social disintegration due to unfathomable poverty, no one seemed to notice. With six square miles with 500,000 people crammed into corrugated metal shacks, he was just another skinny little kid, part of the landscape of ordinary suffering. Sometimes, even if you speak, you have no voice. I stood on the rooftop, looking out over Kibera, largest slum in Africa and one of the largest in the world. I scanned an urban jungle of rusty corrugated metal structures piled haphazardly on one another, linked by jagged wires, a tumble of harsh red and gray edges stretching as far as I could see. Then I followed my friend down a staircase to street level and ducked into a closet-size workspace. Grace paused her sewing project, and I settled on a small wooden stool, leaning in to hear her soft voice over the cacophony of the street rushing by only a few yards away. When she was ten years old, she said, her mother died in Uganda. Sent to Kenya to work as a house-girl for her uncle’s family, sometimes she received food, but never enough. School was not an option. Four years later, her uncle died; and she was turned out to survive on the streets. She never learned to read and write. In a country where street kids regularly approach cars stuck in traffic to beg for something, anything, who would read what she might write, anyway? By the grace of God, at age 17, she married a good man; but he died too young. Today she dreams of writing a book about her life story. But her first priority, in the ravage of widowhood, is to scrape up enough money for her own children to attend school. Sometimes, even if you want to speak, you have no voice. Across the world, poverty silences people. Their voices simply cannot penetrate trauma, disease, neglect, abuse, starvation, orphan-hood, lack of education. I think about voicelessness differently after my own episode of reactive mutism. Trauma drove me deep into myself, into a dark trapped place. Words seemed pointless, inadequate. Thankfully, people who loved me didn’t let me stay there. They pursued me, listened to my grief, and drew me out to a place where I found my voice again. I was lucky to be able to access professional support. The adage, “What is shareable is bearable,” proved true; and God provided a path to healing. Pastor Karau, Hope’s Promise Kenya Country Coordinator, once said jokingly to a Hope’s Promise Connection Team, “Follow me as I follow Jesus.” He led us down from the rooftop of Mathare Worship Centre, which overlooks Mathare Valley, laid out like a ragged, jagged quilt of rusty metal squares. Then he led us out into the slum. That’s where Pastor Karau met four-year-old David. He got up close and personal enough to hear that tiny desperate voice. Then he spoke out and told other people about David; and together they did something about it. Now, David has been folded into a Hope’s Promise family; and visitors from all over the world want to hear what he has to say. I met Grace face-to-face and listened as she told me her story. Now I can’t stop thinking about her, praying for her, and telling people about her whenever I can. You see, it’s easy to speak up for others when you understand that the avalanche of statistics is made up of individual voices. When you get close enough to lean in and listen—to look into a person’s eyes, to realize “what is shareable is bearable” and they just shared their story with you—you start talking. You don’t need a formula or guidelines or points of action. Their stories pierce your heart, and you simply start speaking up for those who can’t speak for themselves. You write in your blog or write a book or create art. You collaborate with others to host an awareness event. You tell your Bible study group, co-workers, strangers in the grocery store. So, here’s my question: are you getting close enough to hear the quiet plea of the voiceless? And if their cry is faint, get closer to them in your own country. Or go to another country and meet them (maybe with a Hope’s Promise Connection Team). Or encounter them in books like “Half the Sky” by Nicholas D. Kristoff and Sheryl WuDunn or “The Global Orphan Crisis” by Diane Elliot. As originally published in the Hope’s Promise blog. How lucky and timely for me for the opportunity to read your post. I’m online rarely, so stay behind. I’ve found my backbone, and my voice is usually intact as well. Thank you for reminding us to speak up for those who cannot. You have such a way of encouraging me and I admire your passion for art and for what is right. I’m so thankful you are standing up and drawing awareness of the government to desecration of beauty! It matters so much. I’ve learned much from my son, now 21. I tend to step back and think others have so much more expertise, skill, etc. to handle situations. But when he was 16, he was playing tennis at our urban school near bustling streets and there was an accident at the intersection bordering the court. He didn’t even think twice – he rushed to the accident along with another man. He was a teenager with no medical training. But he and the other man arrived on scene and comforted and cared for an injured victim until emergency personnel arrived on scene and took over. I learned from him to rush to those who are hurting and offer whatever I have and trust that it’s enough. If I witness it, it’s an invitation to move towards it. I’m so thankful for my Jacob. Thank you so much for this much needed message, Colleen, and thank you so much for reblogging it, Alethea. When I was a little child, I was the one who needed the help, and no one was there for me either. But it gave me the strength and heart to reach out to others who have needed various kinds of help. I have been able to be there, and to listen to what they have to say no matter how bad it is because I know what that feels like and how it might just save a child’s life to be there for them when they feel they have nowhere to turn. I remember working at a wealthy school district, and the teacher of a study class kept asking me why the children could not sit still and study, were falling asleep in class, and were totally unruly. I told him, “It’s simple. They are hungry.” Then I asked him if I could bring some food and juice to class for an experiment and he let me. The school district could have fired me for it, but I brought sandwich materials of all kinds, water, juice and fruit. When the children came in, I told them that the first thing I wanted them to do when they came in was to get some food – make one or more sandwiches, etc. and they could go back for more. One of the kids came and put a jar on the table, and the kids decided that if they could put a little contribution in the jar, they could, and if they didn’t it was ok. Within several days, there was a total change in the classroom with behavior, morale, and overall good working. Those who could put in a good amount and no one was left hungry. I had enough to keep bringing in more food each day for them. So for some issues, before anyone jumps to conclusions and thinks children are just misbehaving for no reason, they might think about these things, and make sure the children have what they need instead of looking for reasons to punish them. Don’t wait for those with needs to come to you. Some are so ashamed of their situations, they will starve before they will ask for food. If they food is available for all, they will go and get something. Make sure that whenever you help a child or adult, etc. that their dignity and privacy is protected. That is critical. Just never turn anyone away. Thank you so much for your powerful testimony and challenge, Anne. It has touched me deeply. Thanks for sharing this, Colleen. A powerful post and good reminder. Thank you. Always appreciate a blog visit from you Detlef and your encouragement. “…getting close enough to hear the quiet pleas…” and witnessing the strength. the important thing is to get close.